Lima is a modern and fine example of the cosmopolitan side of Peru, with its world-class gastronomy (recognized by The Economist as one of the 12 most exquisite cuisines on the planet) its vibrant nightlife and variety cultural activities and entertainment options. The Lima's cuisine is proposed and are under evaluation by UNESCO as Intangible Cultural World Heritage (2011). With a mixture of cultures, our identity is enriched by a great diversity of flavors. Peruvian cuisine is the result of experience, fusion and our genuine hospitality, of the satisfaction of witnessing how visitors enjoy good cooking. Lima boasts a grand international table that in many cases is a fusion of different tastes, like the Nikkei, which combines Japanese cooking with Peruvian. Such emblematic dishes as lomo saltado (type of stir fried sirloin strips, a blending of Chinese and Peruvian cooking) are an expression of this marriage, too. The marine riches of our seashore, the harmony of the Andes and the mystery of the jungle become textures, colors and delicious aromas that turn Peru into a feast of flavors. If you happen to like fish and seafood, while you're in Peru, you're in for a treat. The coast of Peru has some of the best species of fish anywhere. Try "escabeche", a fish appetizer with onions and peppers. Scallops "conchitas", and mussels "choros" which are prepared in an infinite variety of ways all of which are delicious. 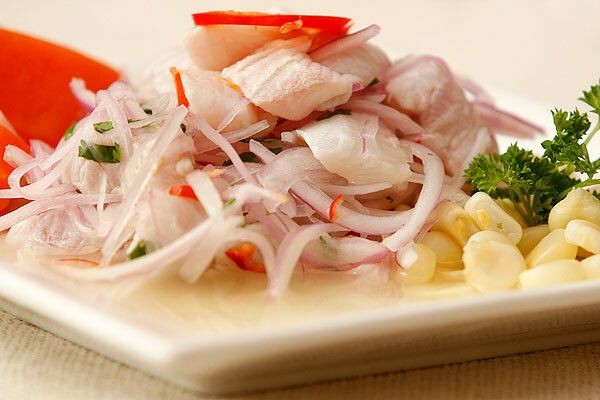 The "cebiche" is the Peruvian sea food specialty, fish pieces cooked in lemon juice, served with sweet potato and corn. Any dish served "a lo macho" come with a shellfish sauce. "Corvina", sea bass, is always an excellent choice, as is shrimp, "camarones". Good trout can be found in Lima and in the mountain areas, cooked in many different ways. 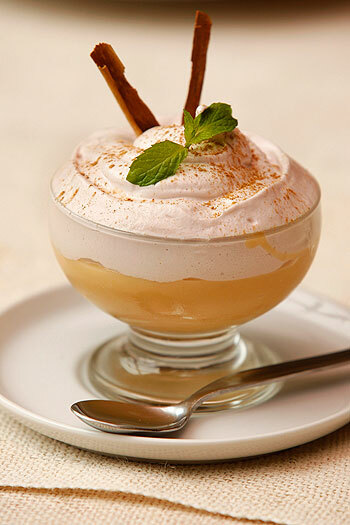 For a typical chicken entree, order "Aji de Gallina", served in a lightly piquant cream sauce. "Lomo Saltado" is another popular main dish consisting of morsels of beef sautéed with onions and peppers, served with fried potatoes and rice, a real delight. Chifa is a term used in Peru to refer to a style of Chinese cooking in which ingredients which are available in Peru have been substituted for those originally used in China. Chinese immigrants came to Peru mainly from the southern province of Guangdong and particularly its capital city Guangzhou in the late 19th and early 20th centuries. They settled for the most part in the city of Lima. Due to a lack of Chinese ingredients in Peru, the Chinese were forced to adapt their cuisine to those items available in Peru. The term Chifa is also used to define a restaurant where this type of food is served. Chifa has become one of the most popular types of food in Peru. The highlights desserts are mazamorra morada, suspiro de limeña and picarones. Peruvian beer and wine is also recommendable, are four great wines to look for. 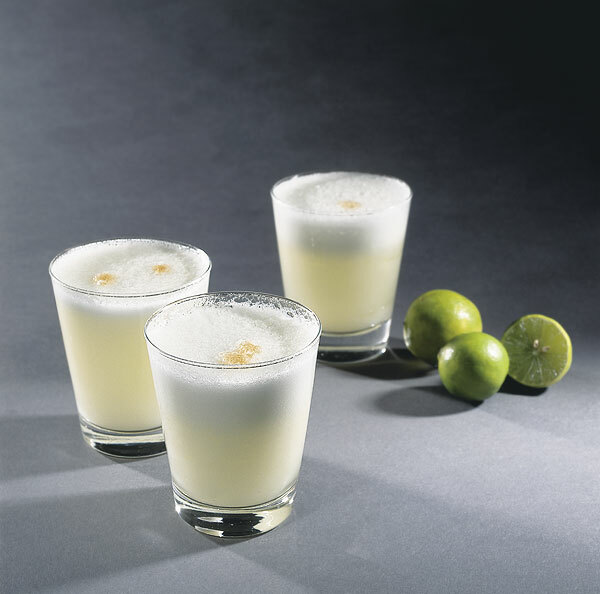 And of course, no trip to Peru is complete without a "Pisco Sour", a true Peruvian specialty that you must treat with respect unless you want to end up with a huge hangover. 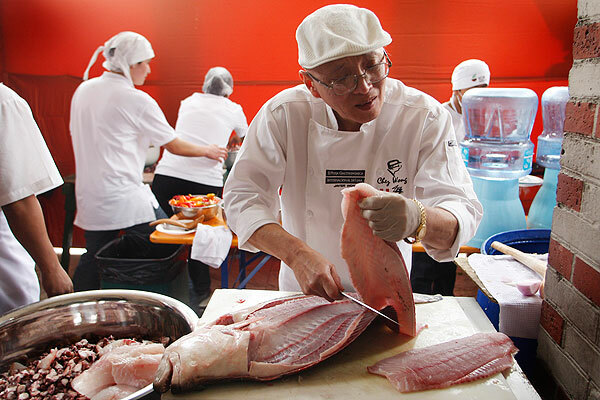 Each year takes place in Lima the "Mistura" gastronomic festival. There are restaurants in Lima where the dining ambience is as seductive as the menu itself. Clients, when entering for the first time, get that look in their eye of people visiting a modern art gallery. There is one restaurant with lofty ceilings and intimate, theater lighting, where you can actually watch a circus – an acrobat walking from one side to the other on a tightrope – as waiters describe the different dishes that are a fusion of our national cuisine with foreign flavors: potato rolls with prawns in a tamarind and chili pepper sauce or lúcuma agnolotti combined with goat’s cheese and crab meat. Absolute art for the palate. 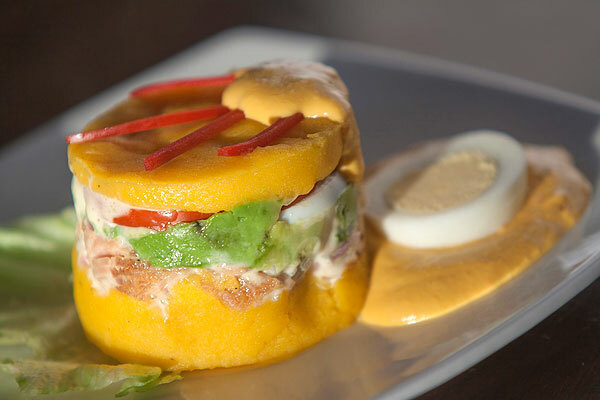 Yet, Lima also boasts restaurants where the abundance of dishes is proof of the fertility of the farmlands of Peru; there is one that offers an astounding 600 different dishes of Peruvian and international food, worthy of an entry in the Guinness Book of World Records. No other restaurant in the world has as many choices – from breaded tenderloin with tacu tacu (a bean puree) to red wine osobuco with mashed potatoes to ollucos (an Andean tuber) with charqui (beef or llama jerky). Of course, Lima also has restaurants that feature signature cuisine, where every plate is a one-of-a-kind and unrepeatable adventure and where the kitchen chiefs come from a tribe of chefs trained in the most prestigious cooking schools in the world and, most importantly, are possessors of a privileged palate they inherited from this land. They have learned how to combine native flavors with foreign ones, so the experience of going to just one restaurant can become an around the world flight when one sits at the table. For instance, there is a restaurant where they serve the traditional tuna tiradito with a maracuyá, miso, and wasabi salsa. They also flambé the sea bass with pisco brandy and accompany it with a squid and asparagus risotto. Take care, though. Visiting these signature restaurants is an odyssey that may make you delay your trip back home. Lima is a fast-moving modern metropolis, is known as the gastronomic capital of South America for a culinary legacy that inherited superb pre-Hispanic and colonial cooking traditions and was nurtured by the best Western and Oriental cooking. The best places to enjoy are Miraflores, San Isidro and Barranco. Cultural shows, enjoying a performance of native music and dance, theatres, art galleries, casinos, bars, discos, a lot on offer. Lima at night, usually has the same or more intensity than during the day, endless nights, cheerful nights, amusement nights, especially on weekends. Lima offers opportunities for almost all the preferences and budgets. A good dinner is a good way to begin the night. Not so long ago, Lima has become, for some people, an excellent tourist destination for its Casinos and Gambling Houses, which are legally allowed. Diverse international and national gambling companies have been able to establish luxurious casinos. Some offer artistic shows. The varieties of games that you can carry out in a casino are all given, the bets have the limits that are established by each casino, and they also have jackpot machines. Most of them work 24 hours a day, every day. Some of these casinos are located in 4 and 5 stars hotels. Also exist gambling houses and bingos. A good way of coming closer to the Peruvian culture is sharing its manifestations through the songs, the music and the Andean and Creole dances. Each region of Peru has its own characteristics, giving the tourist a great variety of shows. In Lima there are diverse night centers that present shows from the Peruvian folklore. They frequently vary their programs. Another alternative, are the "peñas" that are more popular manifestations, characterized in making participate the assisting public. In these "peñas" you will be able to have Creole food, appetizers, and Peruvian drinks, especially recommending the Peruvian Pisco Sour. The clubs get going from 11 pm. and continue going strong till dawn. You may find them of all styles. With international music, as any other modern city. There you will be able to appreciate an artistic show or simply take a relaxing cocktail or your favorite drink in interesting conversation besides good music. The latest international films. Exhibition of movies from all countries, usually with the original soundtrack and Spanish subtitles. The Discotheques: The discos get going on weekend from 11 pm. and continue going strong till dawn. There are very good ones, some of them are for members only, but the hotels of 4 and 5 stars grant temporary passes to their guests. There are discotheques of diverse type of international contemporary music and others with soft and romantic music. During summer time, young people in Lima prefer the discotheques located at the southern beaches. Some discotheques reserve their admission. The Salsodromos: Ideal places for the lovers of "salsa" and Caribbean music and their contagious rhythm and happiness, many of them with live music.